This story originally published on Naples Herald August 25, 2018. What started out as a curiosity after a field trip to a Meals for Hope event, quickly turned in to a small student body making their own business models, creating their own unique salsas and BBQ sauces, and learning how the business world works. “It really was eye opening, coming from a bit of a shy background, the work we did was so positive it brings almost everyone out of their shells. You just believe in the work that much,” Alfredo Villalobos-Perez, part of the original class and now on the college advisory board for Taste of Immokalee, said. Taste of Immokalee, now in its fifth year, is an incredibly unique offering for high school students in Immokalee. Combining product development with professional and social skills, it’s an impressive way to spend a summer, and a training opportunity with potential for after graduation. 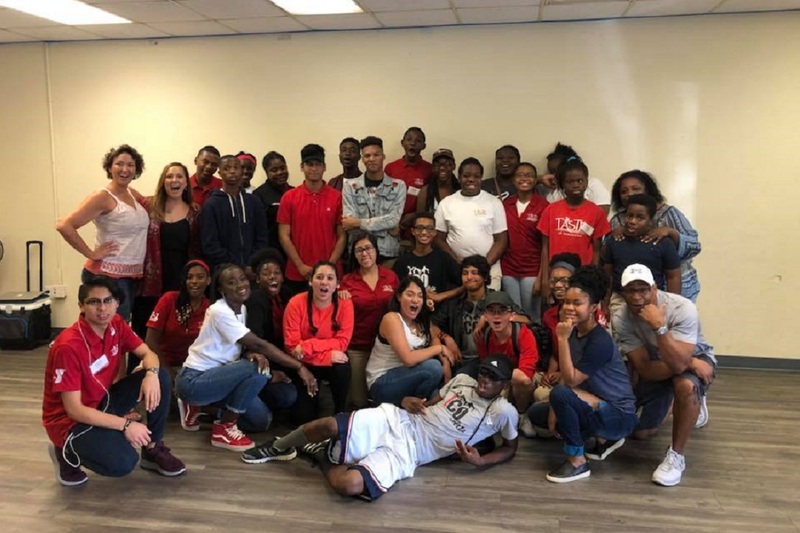 Sponsored and mentored by 1 by 1 Leadership Foundation, the students started to create their own logos, do market research in stores across southwest Florida, attend rallies and festivals and everything they could get in to. The first class had cook offs to figure out what recipes they wanted to present. Most of the kids in the program come from ethnic homes, and a lot of them come from migrant farmer families that work the fields in Immokalee, so fresh produce has always been present in the homes, especially with family recipes and experimentation. They released two new flavors this week, with a pineapple mango salsa and a mandarin tangerine barbeque sauce hitting stores on Aug. 21, but the biggest announcement is everything is now 100 percent sourced locally. Lipman Produce, the largest field grower of tomatoes, has been working with the group extensively. “It’s been a crazy ride, from start to finish. Seeing something you designed and you made in a kitchen and you hand jarred is really thought provoking. It’s empowering, in a way,” Kayla Boney, a student in the program said. The program was originally designed for junior high and eventually high school students. But they’re getting involved in trying to get students from as young as sixth grade involved in more projects in the community. The original students are long gone, but every year the new crop tries to build on the success that already exists. The program builds on being a young professional, it gives you encouragement and face time with peers and business owners some students may never had access to. It permeates growth in the student body and the community, with families passing down recipes and cooking with their kids. It has a lot to show for it, letting kids know there’s more to it, especially with the out of state trips, letting students see more than just southwest Florida.